James Murdoch could be recalled to give evidence to the Culture, Media and Sport select committee after new evidence published today repeated claims he knew about the crucial "for Neville" email. In a letter responding to select committee chairman John Whittingdale's request for further information the former News of the World legal affairs manager Tom Crone said he had "no doubt" that he told Murdoch about the "for Neville" email. The so-called "for Neville" email was supplied to News International by Gordon Taylor, chief executive of the Professional Footballer’s Association, when he sued the company over phone hacking. The email consisted of transcripts of mobile phone messages which appeared to be intended for chief reporter Neville Thurlbeck and so contradicted News International’s claim that the practice was limited to a "rogue reporter". James Murdoch oversaw News International between December 2007 and July 2009 as chairman and chief executive of News Corporation in Europe and Asia, and authorised the settlement of the Taylor case. In his letter Crone said: "Since the 'for Neville' document was the sole reason for settling and, therefore, for the meeting [with James Murdoch], I have no doubt that I informed Mr Murdoch of its existence, of what it was and where it came from. "I do not recall if I produced it and showed him a copy of it." Crone said he could not remember the exact date but believed the meeting at which he informed James Murdoch of the "for Neville" email was in June 2008. 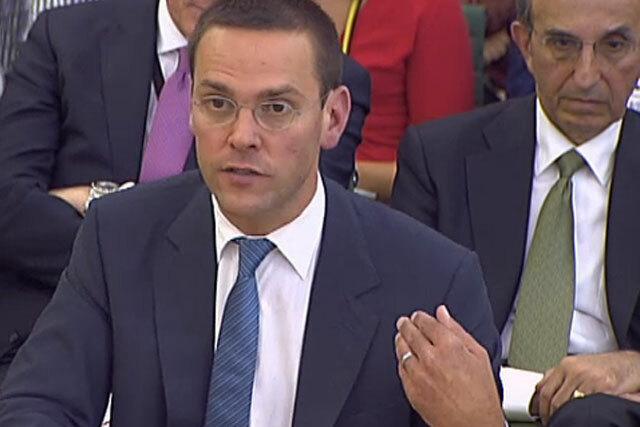 James Murdoch, now deputy chief operating officer of News International parent company News Corporation and chief executive of its international arm, gave oral evidence to the select committee on 19 July alongside his father Rupert Murdoch, who is chairman and chief executive of News Corp. In the session he said he was not aware of the email when he signed off the payment to Taylor. But in a statement on 21 July the then News of the World editor Colin Myler and Crone contradicted Murdoch's claim that he had not seen the email. Murdoch quickly responded that he stood by his evidence and in a letter answering Whittingdale's request for further details, also published today, he said he has no recollection of any mention of "Thurlbeck" or a "for Neville" email. He said neither the Myler nor Crone, who he claimed both briefed him on the status of the Gordon Taylor case at a meeting on 10 June 2008, told him wrongdoing extended beyond Mulcaire. Following a private meeting today the committee has called Crone, Myler, former News International HR director Daniel Cloke and former News International director of legal affairs John Chapman, to give further evidence on Thursday 6 September. The Committee said depending on their evidence under questioning it may also have further questions for James Murdoch and others. Elsewhere in the published evidence, a letter written by News of the World's former royal editor Clive Goodman said that the practice of hacking was "widely discussed in the daily editorial conference" until explicit reference was banned by the editor (then Andy Coulson). The Goodman letter was sent to Cloke, as well as Les Hinton, then executive chairman at News International, and Stuart Kuttner, then managing editor of News of the World, after Goodman was told he was being fired. The letter appears twice in the evidence published today – in the submission from News Corporation and in the submission from News Corp's former law firm Harbottle and Lewis. In the News Corp version the reference to phone hacking being discussed at editorial conference and that Goodman had been promised that he could come back to his job if he did not implicate the paper or any of its staff has been redacted (blacked out). The committee also said it has written to Kuttner, Hinton, former News of the World editor Andy Coulson and former News International chief executive Rebekah Brooks, to ask whether they wish to add to or amend the evidence they have previously submitted.